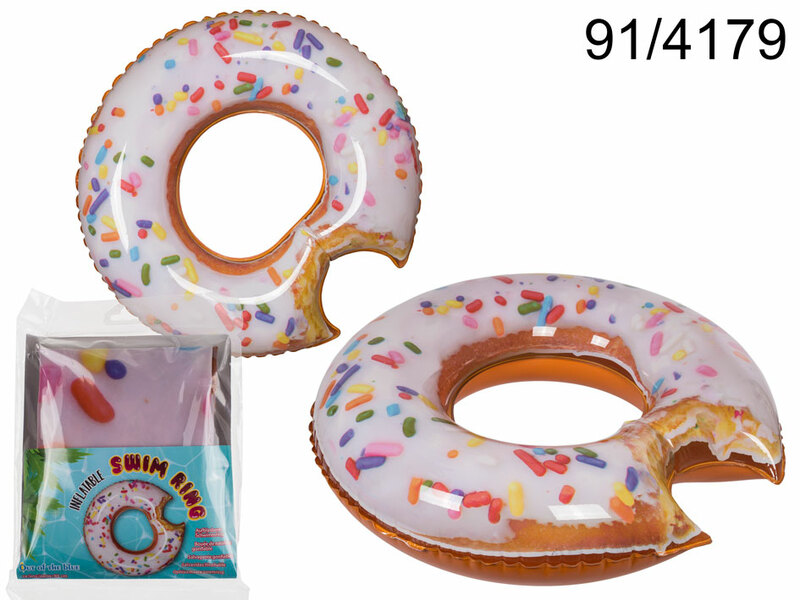 Large swim ring that looks like yummy glazed donut that someone bit. Diameter: around 100 cm. Fun-looking summertime item that will make you the king or queen of the beach.